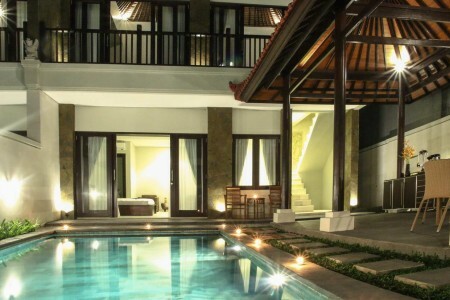 There are Villas in Sanur then there is Linda Villa in Sanur. 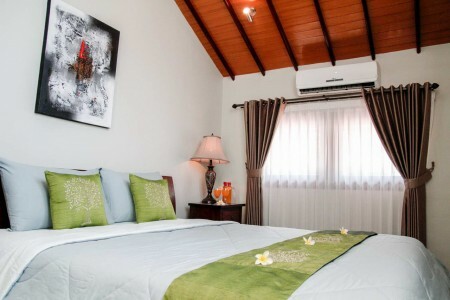 Our unique layout is comprised of three separate villa buildings, each with a suite downstairs and two independent bedrooms and en suite facilities upstairs. Each our three Villas Lilac, Iris and Nemesia/Dafodil have access their own pool and outdoor entertainment area. Linda Villa Sanur is perfectly located in a very quite and restful residential area and offers a well maintained secure and private stay right in the heart of Sanur. 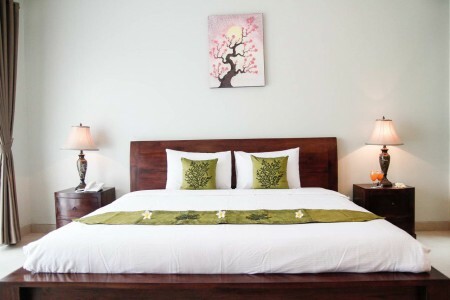 Linda Villa Sanur is an easy 10-minute leisurely walk to downtown Sanur and a 20-minutes stroll to Pantai Sindhu ( the main beach) and the beachfront promenade. Linda Villa in Sanur is unique in our ability to offer You a "home away from home" in a residential area with a range of accommodation to suit the sole traveler on a budget or business expense, a family having fun, a couple seeking romance or old friends reconnecting, all with a big splash of Balinese warmth and luxury. 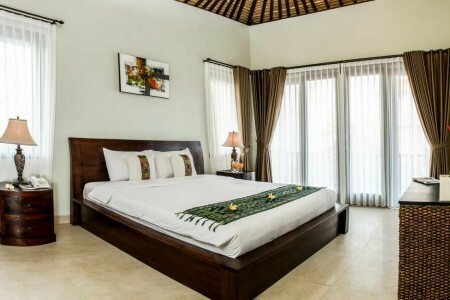 At Linda Villa Sanur, We are able to create the perfect combination of rooms to suit your needs and We include a daily cooked or continental breakfast for your convenience. 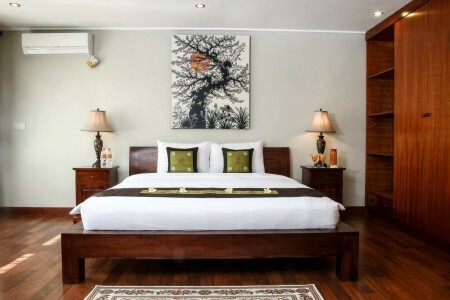 Each of the rooms in Our Villa in Sanur offer full air-conditioning, hi-speed WiFi, refrigerators and are fully serviced dailiy. We offer flat-screen TV with optional international viewing, safety deposit boxes and We will assist you with planning your Bali adventures through our existing network. At Linda Villa Sanur, We love meeting and assisting our first time guests and we warmly welcome our many return guests. Sanur is a beach side town located on the south-east side of the island of Bali and is the perfect place for those who love to greet the morning with the blessing of a glorious sunrise. The long stretch of beach offers golden sand and calm shallow waters which is perfect for families and those looking for safety in the water. Sindhi Beach is well known for very large colorful kites being flown and the Juking fish boats resting on the sand. Flanking the beach is paved bike/walking path from which you can explore the many market stalls and beachfront restaurant and which also provides excellent opportunity to access Danau Tamblingan, the main thoroughfare through downtown Sanur offering even a greater choice of Culinary Delights, Cooling Cocktails, Bintang in Sporting Bars and upmarket shopping. Sanur operates at a slower pace than the more commonly known south-west location of Kuta, Legian and Seminyak. Trading hours in Sanur are generally 10am to 10pm with a few exceptions during peak season and religious events. 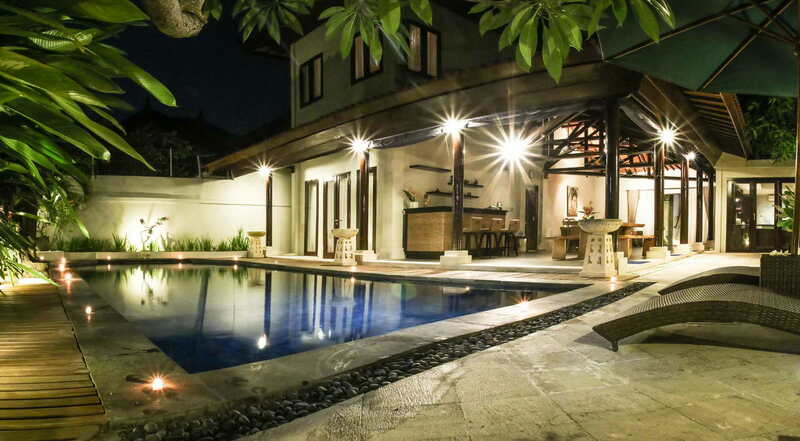 Located only 20-minutes drive from Ngurah Rai International Airport, Sanur is a destination perfectly suited to young families and those seeking a slower paced and stress free Bali experience.